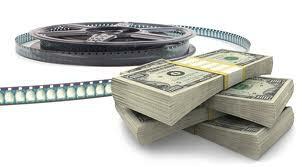 Our Film Financial Projections Template will make financing for your independent film production a breeze. 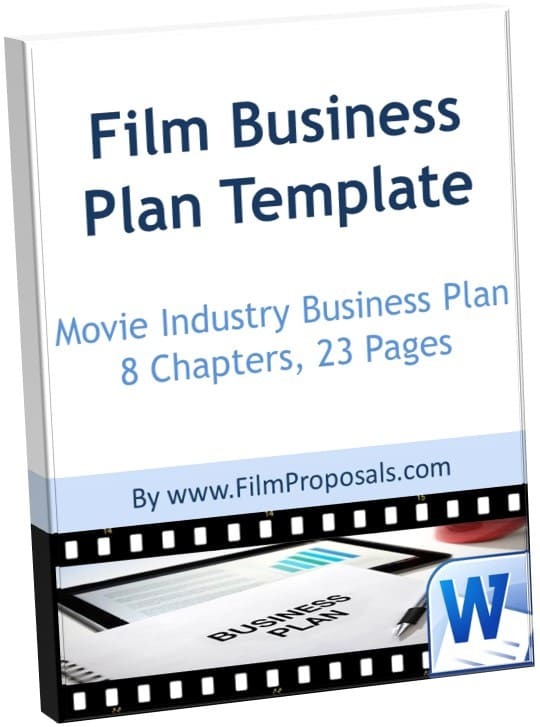 This Excel template walks you through analyzing your film, comparing it to other films, movie production costs and easily allows you to add financials directly into your Independent Film Business Plan. Getting the overall picture of your financial projections has never been easier. 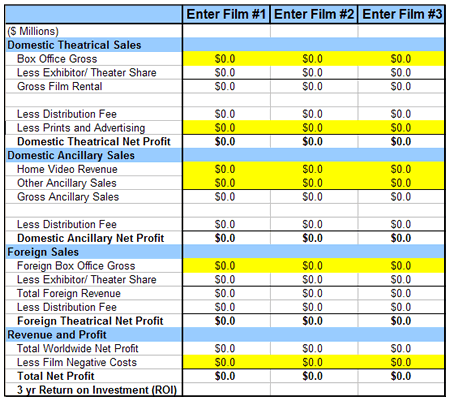 And with the Comparable Films Template, you can compare and contrast how your project's financial outlook stacks up. Just fill in the yellow cells with your key figures and the spreadsheet calculates the rest for you! 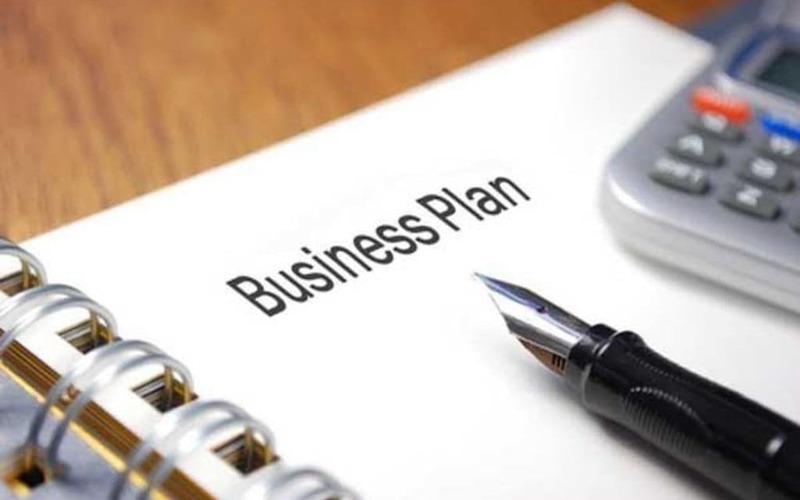 Then, just copy and paste your financials right into your business plan. 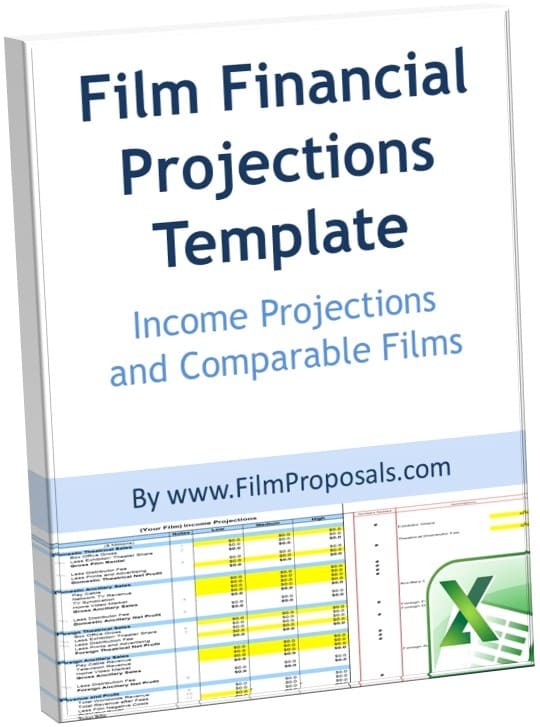 Get an inside look at our Income Projections and Comparable Films Template with the screenshots below. 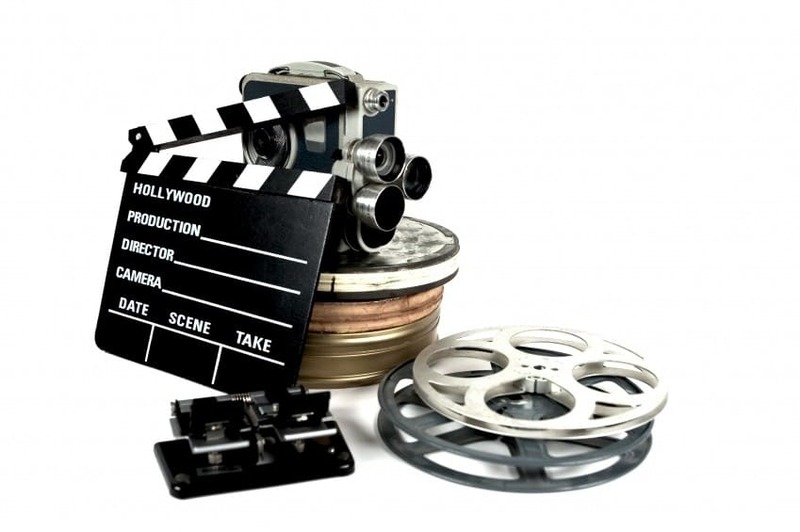 The template includes flexibility to allow the input of various types of S/VOD numbers. 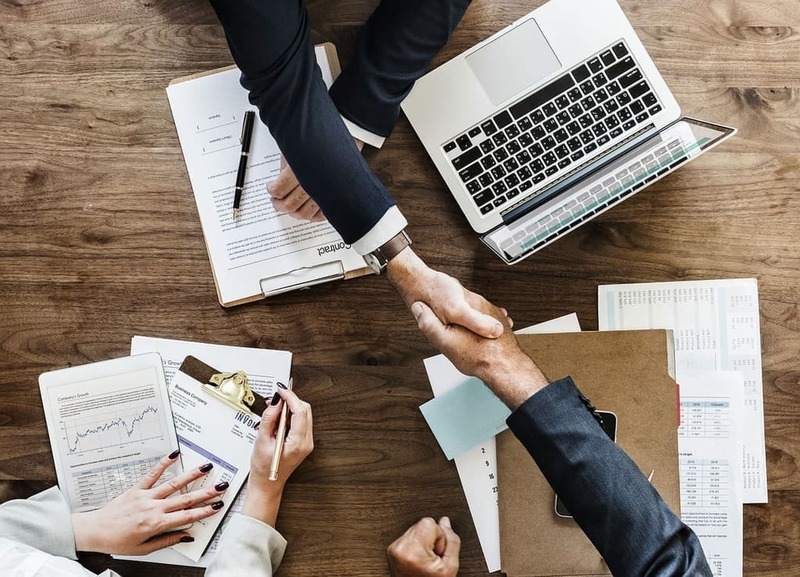 You have complete flexibility over the distribution and VOD revenue model(s) you choose and you complete your calculations any way that works for you. 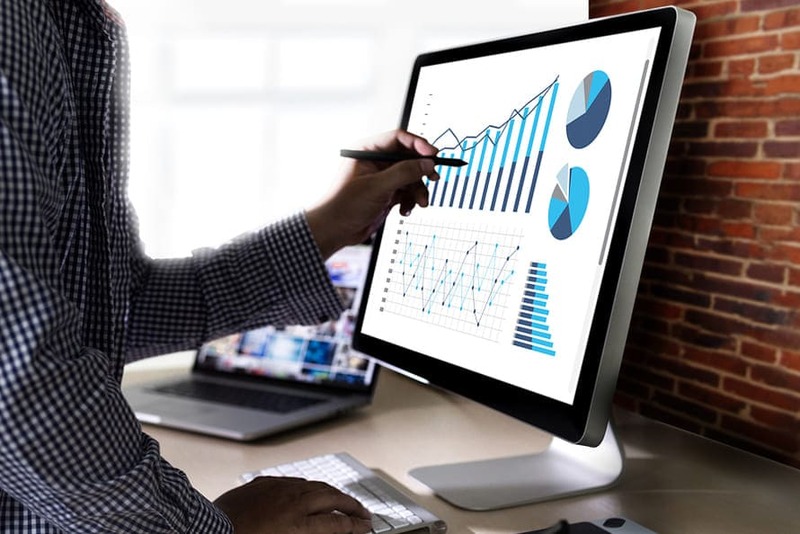 However you do your calculations, just fill in the blanks for the various revenue streams and change the distribution fee (anywhere from 0-100%), according to your calculations. 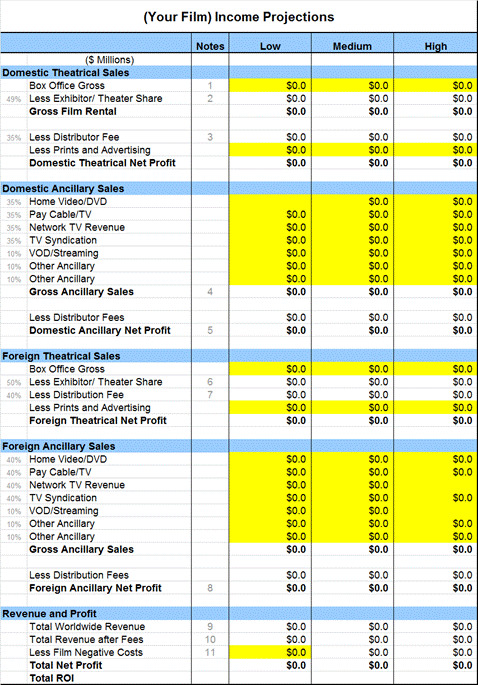 Whether you use the traditional theater and/or new streaming/subscription distribution model(s), the template can adjust for any international or domestic sales scenario.